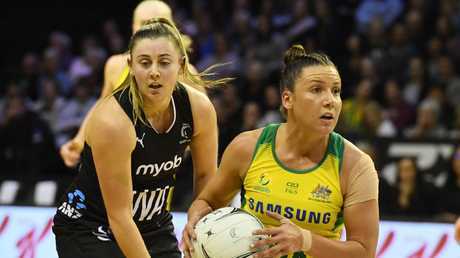 FIRED-UP to avenge their shock loss to New Zealand just five days ago it was a cool, confident and clinical Diamonds who got the job done with a resounding 58-47 triumph securing them their eighth Constellation Cup in Wellington on Thursday night. The Silver Ferns were left bamboozled by the speed and intensity of a Diamonds side out to polish up a reputation dented by a 11-goal humbling at the hands of the world No.3 side in Hamilton on Sunday. And the motivated side produced one of its best performances of the year to collect the Constellation Cup played for annually before the two netball nations for the sixth consecutive year. The fourth Test victory also saw the Diamonds end their season with 15 wins from 17 Tests - the best record of any team in the world. 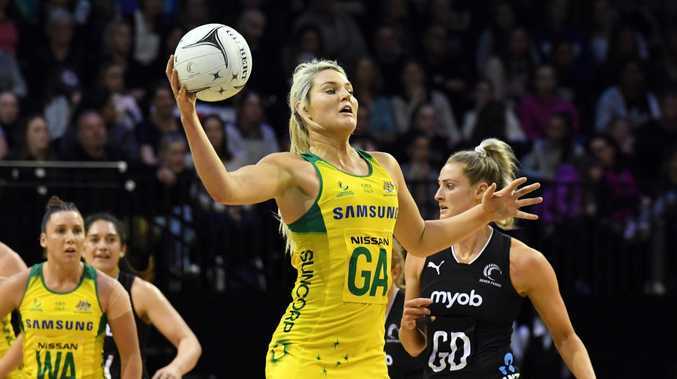 Australia's only losses were against England in the gold medal decider of the Commonwealth Games and last Sunday's third test of the Constellation Cup. 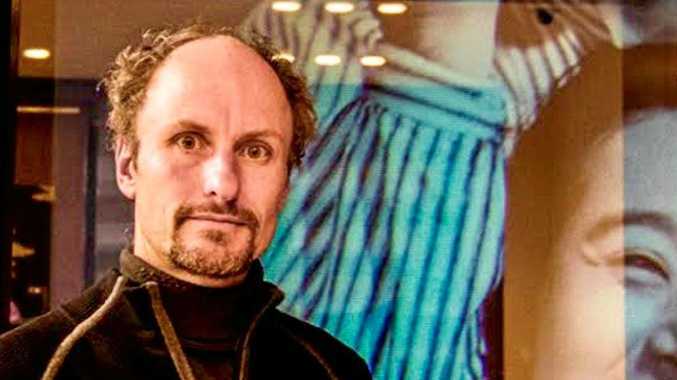 "There is no other way to say it - that was extremely important to us. When you are the No.1 team in the world and everyone is chasing you hard, you have to get the trophies," a delighted coach Lisa Alexander said. "I am proud of them. They did everything that was expected of them except for maybe five minutes in the final half. "They were pretty down about that performance in Hamilton. It wasn't Diamonds-like. We discussed it, had some hard words, I had some hard words, and they trained very well and then came out and performed very well tonight. I am very happy." Despite these hiccups - in the case of the one goal loss at the Games a particularly costly one - the Diamonds will end the year as they started it as the top netball team in the world. This bodes well for their defence of the World Cup in Liverpool next July. Starting with the side that won them the third test 55-44, New Zealand came out hard on Thursday night but could not match the intensity of a Diamonds side driven by the pain of their first loss to their old rivals in over a year. The Diamonds took a 18-13 lead into the first break and left the court up 32-24 after leading by as much as 13 in the second period. Captain Caitlin Bassett was best in the circle in the first half with 23 from 28 with Gretel Tippett netting 9 from 10. A strong third quarter saw the unchanged Diamonds starting seven claw out a 46-33 lead heading into the final quarter. The 11-goal victory, after being up by 17 in the fourth period, then saw the Diamonds collect the Constellation Cup silverware with a 3-1 series win. Bassett ended the match with 37 from 43 and Tippett with 21 from 25 while Maria Folau was best for New Zealand with 27 from 34.